At least 235 people have been killed and scores more wounded in a devastating attack on a mosque in northern Egypt on Friday. In one of the deadliest attacks in the country's recent memory, suspected militants targeted worshippers in a coordinated gun and bomb attack on al-Rawdah mosque in Bir al-Abed, west of Arish city in the Sinai region. More than 50 ambulances rushed people to hospital as the injured total was placed at more than 125, according to the state news agency, after the attack struck the same region where hundreds of Christians have been killed by Islamists in recent years. The first bomb blast ripped through the mosque during Friday prayers - the high point of the Islamic weekly worship pattern - then attackers approached in four off-road vehicles opening fire on the worshippers, according to Reuters. Arabiya news channel and some local sources said some of the worshippers were sufis who hardliners such as Islamic State regard as apostates because they revere saints and shrines, which for Islamists is tantamount to idolatry. No group has yet claimed the attack but Egypt's security forces have been fighting an ISIS insurgency and fighting has intensified in the last three years. 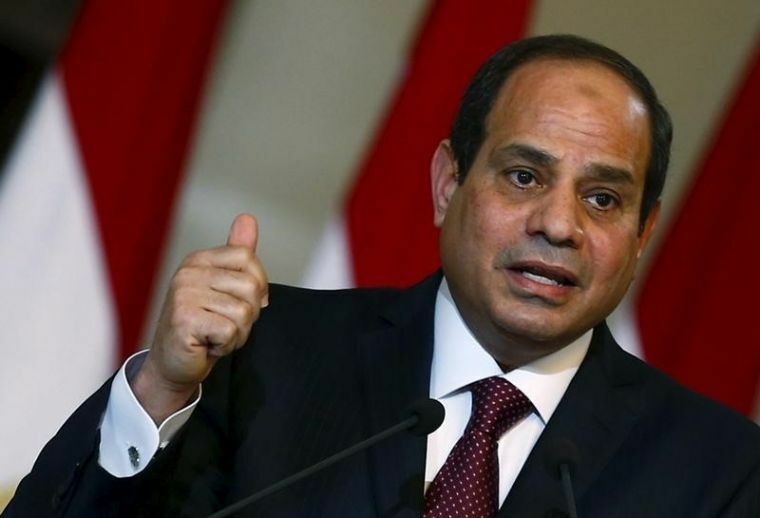 Egypt's President Abdel Fattah el-Sisi held an emergency meeting of security personnel shortly after the attack, according to state television. He also declared three days of national mourning. The grand imam of al-Azhar mosque in Cairo, the centre of Sunni learning, condemned the attack as an 'attempt to spread chaos' in a statement. UK foreign minister Boris Johnson condemned the 'barbaric attack' in a post on Twitter, while the Archbishop of Canterbury described the slaughter as 'terrible beyond words' as he said he was praying for those affected. Coptic Christians, who make up 10 per cent of Egypt's population of nearly 95 million, say they have been persecuted for years and have accused the state of not taking their plight seriouslyenough. Earlier this year at least 44 people were killed and more than 100 wounded in bomb attacks on two Coptic churches on the Christian festival of Palm Sunday. But the latest attack on a mosque highlights ISIS' indiscriminate attitude towards anyone who does not adhere to their ideology.